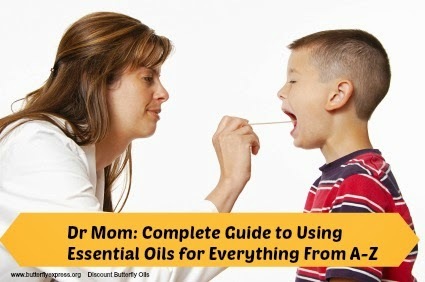 Discount Butterfly Express Essential Oils-up to 30% off: Part 1 What You Need to Know About Testing & Standards-Don't be Fooled! 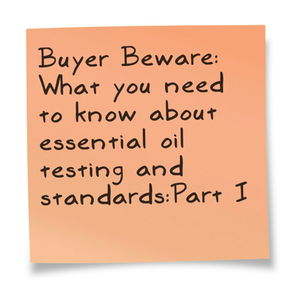 Part 1 What You Need to Know About Testing & Standards-Don't be Fooled! It is important that we remember that it is not possible, even with the most powerful of today’s microscopes, to see the living molecules of essential oils. Chemical formulas denote how many atoms of this and how many atoms of that are in each component of an oil, and can be determined by the techniques used by modern chemists. But chemical formulas are only the introductory pieces of a complete analysis of any essential oil. The next things that you need to know are the percentages of each compound that are in that particular oil, and then, the actual structure of those compounds. The percentages and structures are very important! The industry standard for analysis of the percentage of each component is the gas chromatograph (CG). There are several variations of this tool. The high performance liquid chromatograph (HPLC), the gel liquid chromatograph (GLC), and the thin layer chromatograph (TLC). These instruments separate the components of an oil into individual compounds so that the percentages of each can be measured. There are three things that need to be understood about this technology that is so often relied on and quoted as proof that an oil is pure and up to a proper standard. The first thing to know is that only the main components of an oil can be measured by any of these chromatographs. Most of the components of the oil go undetected and uncounted with each test. Most often the compounds that are measured and counted do not comprise even 50% of the entire oil, in many oils, and it is one or more of the trace components, which are not shown by the test, that really matter. In grapefruit oil, for instance, the component that accounts for its distinctive aroma is found in amounts of less than 1 part per billion. Trace components which the tests do not record are vital to both the aroma and the therapeutic properties of every essential oil. Synthetic and chemically altered compounds are not going to show up in a chromatograph unless the percent of the "fake" that has been added is quite high, and then only if the technician is both very good at his job and very lucky. Only if the analysis is well done and the amount of the both the natural compound and the fake is high enough to register will the adulteration be detected by chromatograph technology. The second thing that impacts the usefulness of these tests is that there is a lot of skill, artistry, and just plain judgment that goes into interpreting a chromatogram. There is a lot of room for error and misinterpretation. Experience and skill on the part of the lab technician greatly impacts the reliability of the results. Some labs and some technicians, of course, do a better job than others. Third, it is so easy to fake a paper. I once ordered readouts on lavender oil from a reputable dealer three years in a row and was sent the exact same sheet each year. Perhaps I was being sold very old oil by the third year, the papers did not apply to the oil I was purchasing, or the papers were just plain "faked" to convince me that what I was purchasing was a very good oil. I say this with confidence because it is impossible to keep growing conditions so nearly identical from year to year as to produce identical results legitimately. Most likely, the same results sheet was used each year, with only the date changed, to save the money that the testing would have cost. Since they knew the growing and production procedures they had used, they were probably confident that it was a good oil. Nevertheless, I have learned to treat all spec sheets with a healthy dose of skepticism. A spec sheet does not guarantee a good oil. The mass spectrograph (MS) is the most often used tool to analyze the structure of the molecules in an essential oil. The mass spectrograph bombards the molecules of the oil with high energy electrons which causes the molecules to separate into atoms. The atoms are then analyzed to determine the angles of the original connections and the original shapes of the molecules before the use of the spectrograph. The illustration used by David Stewart in his book, The Chemistry of Essential Oil Made Simple, is stepping on a bunch of Lego® creations and then trying to put them all back together again without even knowing how many items there were let alone the basic structure of each piece. Is this possible? Maybe, or maybe not. But here again, the skill of the technician, and his patience, has a lot to do with the accuracy of the results obtained. To quote Dr. Stewart, it takes "an incredible amount of technological effort, mathematical deduction, intuition, serendipity, patience, money, and sweat" to identify what is the proper structure for the molecules of an essential oil. An equal amount of effort, mathematical deduction, intuition, etc., will have to be put into identifying and analyzing an oil to determine if the structures in a particular oil are, in fact, natural and not synthetic, man-made, non-living and non-healing fakes. I shall try to make this complicated topic simple, maybe, and fairly brief. There is no government agency in North America who publishes any kind of standard for non-synthetic essences. The United States Pharmacopoeia Convention (USPC) was founded in 1830 to set basic standards for the medicinal preparations of that day. At that time, a large portion of the remedies prescribed by doctors were herbal in nature and included a few essential oils. At that time essential oils and herbal products could be marketed as "USP grade". This grading system and label has not been in use for a long time, but there is pressure being applied to reestablish grading standards. The USPC today is mainly concerned with echoing every opinion of the FDA relating to vitamins and nutritional supplements. The USPC today is also responsible for the standardization of medical formulas. There is another organization which sets the codes for additives, coloring agents, binders, syrups, carrier oils, and other non-active ingredients. These two organizations have recently merged in theory, and now covering both the active and inactive ingredients in prescription and nonprescription drugs. They also set the standards for dosage amounts and the forms the dosages should be in. Since 1995, their work has been expanded to include dietary supplements, medical devices, and other health care products, including tests, procedures, and labeling requirements. The National Formulary branch of this joint organization is lobbying to place botanical medicines under their jurisdiction. In fact, the NF is currently devising standards for growing, distilling, and packaging essential oils. There are those who think that this could be a good thing. Before making up your mind, let us look at the standards set by some European countries and their inherent limitations. AFNOR (Association Francaise de Normalization) is a French agency that sets standards for, among other things, essential oils. The ISO (International Standardization Organization) in Geneva, Switzerland and the EC (Eurpoean Community) has adopted the AFNOR standards. AFNOR authorities are quick to point out that their standards are meant only to be a baseline profile of some of the compounds, and the amounts of those compounds, that should be contained in an essential oil if it is to be labeled as a therapeutic grade oil of a particular species. Let us use peppermint (Mentha piperita) oil as an example. To be labeled as Mentha piperita according to AFNOR (or ISO or EC) standards, peppermint oil must contain 35-45% menthol, 10-20% menthone, 4-9% methyl acetate, 3-7%-1.8% cineole. The above percentages sound straightforward enough, right? But there is a serious problem here. It is that there are only four compounds listed and monitored, out of the hundreds of compounds present in the complete, natural essential oil of Mentha piperita. This fault is the same for all AFNOR standards on all essential oils; AFNOR standards usually look at no more than 6 compounds for any particular species. This leaves plenty of room for an unethical company to substitute man-made "fakes" for both these basic compounds and the ones not monitored at all. Because synthetics are so much cheaper to produce they are sometimes even added to a suitable filler oil in the listed proportion and then sold as a natural oil with no living, growing plant ever involved in the process at all. They still meet the AFNOR standards and, if well-crafted, can be difficult to detect until your "nose" has become quite sensitive. These "fakes" are worthless as healers; only God can make a tree or a plant capable of healing the human body. Only life begets life! In addition, in the United States and many other countries at this time, a product need only have a small percentage of natural (non-synthetic) material in it to be labeled as "natural". As explained above, being labeled as "natural and meeting the AFNOR standard" does not in any way indicate whether the compounds in the labeled oil are natural or synthetic, and does not tell you anything about its therapeutic value. The AFNOR standards will guarantee you the fragrance and taste of peppermint (or whatever oil you are referring to), but it does not guarantee that the oil has any healing properties at all. To achieve the healing properties that you need, you must allow time and space for God and the plant to complete the creation process, and then you must harvest, distill, process, and package the oil appropriately. The oil will then contain hundreds of constituents, most of them in trace amounts that are measured in fractions of percents. As stated several times in this booklet, it is often the trace amounts that are responsible for both the aroma and the therapeutic properties of an essential oil. There is nothing wrong with producing perfume or cosmetic grade oils. The problem comes from labeling them as pure therapeutic grade essential oils when they are not. This mislabeling is fraud. Adulterated or chemically altered oils do not have the same healing properties as pure essential oil. For an in-depth discussion and information on why you should use only pure therapeutic grade essential oils (and why not to use laboratory produced "fakes"), I would recommend The Chemistry of Essential Oils Made Simple by David Stewart, PH.D, D.N.M. This big book is in three parts. The first part is, as the title indicates, an explanation of chemistry relating to essential oils put as simply as possible. The second part is an excellent reference of single essential oils, their constituents, and many other facts and bits of information. The third part, titled Beyond Chemistry, is a series of four fascinating articles on such topics as the nature of matter and the limitations of the scientific methods of study in understanding the universe. What developed was a philosophy of separation between church and science. . . . Religion was for the sanctuary and science was for the laboratory. The two were not to mix. As a result, today we have materialistic science and secular medicine, both of which claim no relationship to God in their practice. At the same time, we have religion that does not know how to incorporate science into its theology and has lost its healing ministry. But the "separation" of science from religion is a false dichotomy. To deny God as the source of healing makes medicine impotent, ineffective, and incapable of true healing. To deny the spiritual as an integral part of the material makes science incapable of discerning the true nature of the universe. Both science and medicine have confined themselves inside a materialistic container where the ultimate answers they seek are all on the outside. In other words, it is completely impossible to understand the universe without acknowledging the one who created it all. Albert Einstein, when asked why he became a scientist, is said to have replied that it was because he "wanted to understand what God was thinking". That is what science should be, seeking to understand the present, the past, the future, and the world around us. To study, or give credence to, only the physical would be failing to acknowledge that there are such things as magnetic force, gravity, etc., and totally ignoring that the material world is subject to these unseen and unexplained forces. I say "unexplained" because the explanations tell you how magnetism works, but they do not explain why in any adequate fashion. In science, there is the creation of artificial boundaries. Chemistry deals with this little bit, physics with this other little part, and quantum physics with some of the less material aspects and forces that the others do not get into at all. What is needed is science as Albert Einstein and other great scientists, then and now, view it. Healing with essential oils is intuitive and spiritual, a gift acquired by one’s receptivity to the Divine. Intellectual study with a secular attitude, unappreciative of the source of all things, will block intuition. Such study is spiritually harmful. Such study will reduce and limit your finer sensitivities and right brain capabilities. This is the kind of study that dominates our schools and universities today. There is a better way. Dr. Stewart points out that the "science of prayer" is always going to be the best method for studying and applying essential oils in our own lives. Being taught by God, in whole sentences, is the closest we are likely to come in this world to the broader picture. He also shows, by the science of molecular structure, that it requires an intelligent life essence, a living plant operating by God’s laws of nature, to make a "healing" essential oil (or an herbal, for that matter). Laboratories and scientists have been unable to imitate what God has designed and set in motion. What man produces through scientific methods in a laboratory will contain molecules of unnatural dextrorotary (right) isomers*, along with other isomers that contain the same atoms but in slightly different structural configurations and formations. It can be accurately stated that these molecules have the same formulas, but the human body has no receptor sites for these man-made, backwards rotating, oddly structured molecules. These molecules cannot be utilized without producing side effects. They are impossible to metabolize and very difficult to eliminate from our bodies. Most often they gradually accumulate, acting as toxins that contribute to or cause disease. *An isomer is a compound with the same chemical formula but different structural formats. Some isomers occur naturally but many, and certainly the ones discussed above, are the result of man tampering with a naturally occurring molecule in a laboratory.